As explained from the admin of a BitConnect Facebook group. Biased? Sure. But he's also in a position to speak on it from the inside versus the sniping from outsiders who have never used it. And, FWIW, I've been using BitConnect fine for almost two months, getting paid an average of 1% a day, and can attest to the veracity so far of everything posted below. Enjoy! In order to respond appropriately to these questions, one must understand that the asker is asking this based on several misconceptions. Most people lump Bitconnect in with the likes of Control Finance, Bitpetite, Coinreum, etc. These are programs where people lend their bitcoin to a company who feeds them a story about how they are able to multiply their funds and give them a nice return based on how the company invests the money. Some claim to be trading, some claim to be investing in certain technologies, some claim to be mining, etc. The company agrees to repay the investor in the same currency that was borrowed. Bitconnect does not operate in this fashion. Unlike all of these programs, Bitconnect has a coin, an actual Crypto-currency. To date, there hasn’t been a single lending program that has come to market (beyond the ICO stage) with a coin and a working blockchain that has failed, exited, or scammed and run off with people’s money. In order to explain the sustainability of Bitconnect, one must be able to resolve several misconceptions about how it works. Misconception #1: We lend Bitcoin to Bitconnect. This is false. We do not lend Bitcoin to Bitconnect. We buy Bitconnect Tokens using Bitcoin in order to make a loan on the platform. These tokens are purchased on an exchange. The person on the other end of the trade can be any member of the Bitconnect community or Bitconnect itself. What this means is that the Bitcoin doesn’t necessarily go to Bitconnect every time BCC tokens are purchased. 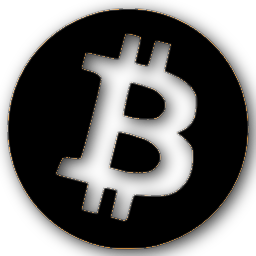 Misconception #2: We are paid out in Bitcoin. This is false. All payments (including referral bonuses) coming from Bitconnect are made using their own BCC tokens, not Bitcoin. If a lender wishes to obtain Bitcoin, he/she must exchange those tokens for Bitcoin on an exchange. The person on the other side of the trade offering their Bitcoin in exchange for Bitconnect are often other members of the Bitconnect community wishing to obtain Bitconnect coins for the purpose of making a loan. A person wishing to exit the platform with Bitcoin is only limited by his/her ability to exchange those tokens for Bitcoin on any of the exchanges where BCC is traded. Bitconnect is not responsible for providing lenders with Bitcoin. They are only responsible for satisfying loans with their own BCC tokens. The circulating supply includes all tokens not being held by Bitconnect. The total supply includes all tokens that have been created to date. The max supply includes all tokens that will ever exist. When a person makes a loan on the platform, they are making a loan for a certain dollar amount worth of BCC tokens, not Bitcoin. When they are paid back, they are paid back a certain dollar amount worth of BCC tokens, not Bitcoin. The value of the coin plays a huge role in determining how many tokens are needed to make a loan in the beginning and how many tokens are required to be paid back at the end. For example, if a person wants to make a 100 dollar loan and a BCC token is worth $1 at that time, he will need 100 BCC tokens to make a $100 loan. However, if by the end of the loan period, the value of the BCC token has risen to $10, he will be paid back only 10 tokens at the time of his capital release. Due to the fact that the BCC token is in high demand, the token value continues to rise and those who made a loan earlier in the year are often paid back less tokens than what they originally lent, albeit with the same dollar value. This is important because the concern is that Bitconnect will run out of funds to pay their investors. However, most do not know that the payments are made using a coin that Bitconnect controls and of which Bitconnect seemingly has an endless supply. The reason why it seems as if they have an endless supply of coins which they can pay out is because whatever amount of coins they pay out are sold and promptly returned to Bitconnect for the purpose of making a new loan. This is not a coin that most people hold for the long term benefits. Bitconnect does not run out of their own coin. Hence, they do not run out of money to pay their investors. Recall that the amount of BCC tokens in circulation according to CMC is 2,138,092 BCC. That means that they still have 6,254,488 coins sitting in wallets which they can use to pay their investors. Currently, the value of a BCC token is $280.82. If we multiply $280.82 by the total supply of 8,392,580 BCC, we get $2,356,804,315.60. That is how much Bitconnect could pay out at one time if necessary. Mind you, it is highly unlikely that any investor in Bitconnect will try and cash out over 2 Billion dollars at one time on the platform. Yet, if this were to occur, then the total supply of coins would be enough to make them whole. Recall, the max supply of Bitconnect coins is 28 million. Let me also remind you that once Bitconnect pays an investor out in their own coin, they have satisfied their end of the deal. The investor, if he so chooses, must on his own trade those coins for Bitcoin or for any other coin. This completely refutes the allegation that Bitconnect takes new money to pay old members, which is the definition of a Ponzi. Bitconnect only conducts loan transactions using their own BCC token. Bitcoin is only used to purchase BCC tokens. That is where Bitcoin’s involvement ends. Bitconnect pays out in their own coin which is traded for other coins such as Bitcoin, Ethereum, Tether, etc. Bitconnect is not responsible for anything beyond paying out a dollar amount worth of their own BCC token. 1). If users stop using the platform. Just like any business, if people stop using the service, there would be no reason to stay in business. 2). If the value of the token drops to a level where all available tokens wouldn’t be enough to pay investors. For example, if the token value drops to $1 and there are 28 million tokens and more than 28 million dollars worth of their tokens need to be paid at once, Bitconnect could fail. How likely is this? 3). If Bitcoin is no longer in existence, or Bitcoin is no longer volatile. However, they could also add other coins which are more volatile than Bitcoin and use those as a metric to pay interest to investors. 4). If Aliens invade and create a whole new financial system.�What I do not see is Bitconnect running out of their own coin to pay their investors. Not when they have a max supply of 28 million and the value of the coin keeps rising. The value of the Bitconnect coin continues to rise because, unlike most other alt coins, it is not a speculative asset. In other words, most people are not seeking to buy it low and sell it high. They are seeking to buy it to do a loan and they do not care what the price of the coin is. They simply wish to buy a certain dollar amount worth of BCC tokens to do a loan. That is all. Hence, If I have $100 dollars to do a loan, I do not care if the coin costs 0.0370000 satoshis or 0.390000 satoshis. A seller can ask for any amount for the coin and will most likely get it. I will more than likely only be holding the coin for a maximum of five minutes before I use it to do a loan on the platform. When exiting the platform, if I choose to exchange the BCC tokens for Bitcoin, I could demand a high price, because at that point I care about how much BTC I will get for my BCC tokens. This is what causes the price to rise rapidly and not fall. The dollar amount quoted for a BCC token is based up two factors: the amount of Bitcoin a single BCC token is worth and the value of Bitcoin. At the time of this writing, one BCC token is worth 0.038491 BTC and BTC is worth $7293. This gives us the price in dollars of a single BCC token as $280.75. Does Bitconnect really have a trading bot? This question is often raised by people who doubt that a trading bot exists, despite the fact that anyone can purchase a trading bot for a couple of hundred dollars. They demand to see the trading bot and how it works even though most major financial institutions such as JP Morgan and Goldman Sachs do not reveal their trading bot and how it works, yet many invest in them. The fact of the matter is that Bitconnect sells its coins for Bitcoin. The Bitcoin that they earn from the sale of their BCC tokens does not play a role in the process of repayment of its investors. Therefore, what they choose to do with the Bitcoin is irrelevant. I can only assume that in order to finance their operation, Bitcoin must be sold for some real world currency, which would imply that they are indeed trading Bitcoin. How are investors paid? How can Bitconnect guarantee 1% a day? Bitconnect does not guarantee 1% a day. Investors are paid an interest percentage based upon the volatility of Bitcoin. A common misconception is that Bitconnect trades Bitcoin and pays an amount based upon how much they profited on that trading day. This is assumed, but never explicitly stated on their website. Investors are paid solely based upon the price of Bitcoin at the time the market closes. I am on the west coast of the United States, and the market closes at 4:00 PM here. If the market closes higher or lower than the day before than I am paid an interest based up on how much higher or lower it closed. The only time investors aren’t paid anything is when Bitcoin closes at nearly the same price multiple days consecutively. Previous performance shows an average of 0.9% daily. In summary, Bitconnect does not meet the definition of a Ponzi because all payouts are conducted using its own currency of which it has a seemingly endless amount. Bitcoin is only used to purchase BCC tokens to do a loan. The Bitcoin is never used to pay back investors. The amount of BCC tokens used to pay back investors is determined by the value of the coin at that time. The amount of coins in Bitconnect’s possession is enough to settle a capital release ranging in the Billions of dollars. In order for Bitconnect to fail, Bitcoin would have to cease to exist or to become non-volatile. Bitcoin does not guarantee a certain percentage on your investment, but averages close to 1% per day. Okay then, so not a ponzi but a combo with a pump and dump stock market like 1928 and hyperinflation due to currency manipulation. Or how about the inflation of currencies the world around when governments just start printing more money to cover their debts? Or how about how the Fed works? Take any example of currency manipulation combined with the psychology of markets and how people respond to hype. Whether the exact word "ponzi" fits or not, house of cards certainly does. And no, those aren't the only ways that house of cards could come tumbling down. Just as bubble markets crash as soon as a critical mass of people say, "Wait a minute, they can't afford to keep doing this indefinitely; I'd better take my gains and go before this ends." ... Once the flow of new people into the coin exceeds the flow of people out of it, it all collapses. Because there are not enough people wanting to buy the coin to be able to pay interest at all, and then because there is no interest more people want to cash out so they can buy a coin that's appreciating more, but then not enough people are trying to buy in... and it snowballs until the owners see diminishing returns and decide they'll be the next ones out to reserve as much profit as they can for themselves.